There is an increasing demand for contract workers within engineering and IT sectors as the skills gap widens. 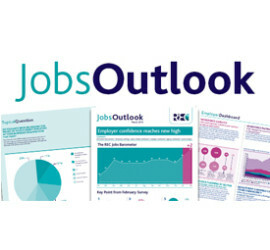 According to the latest JobsOutlook survey by the Recruitment and Employment Confederation, employers are seeking highly sought after skills to meet demand and stimulate growth. In the survey, more than 80 per cent of employers responded to say they hired contract staff to access key strategic skills, an increase of 25 per cent from April 2013. 93 per cent of respondents also added they will either keep using contractors at existing levels or increase their use of them in the short term, with 81 per cent saying they’d do so in the long term. In recent years, contracting has become more attractive to individuals, offering longer term job prospects and often higher pay rates than permanent counterparts. Equally, hiring contract staff is an attractive option for employers with 98 per cent of businesses reporting they have either ‘none’ or ‘a little’ capacity to take on more work without more staff where key skills are becoming harder to find. REC Chief Executive, Kevin Green, said: “Business are clearly finding it difficult to attract people to certain roles. The number of vacancies is currently at record levels but candidate availability is falling. Our data indicates that employers may be shifting focus away from hiring staff, and towards improving the productivity of the workforce they already have. If you are a contractor seeking a new position, please check out our available contract jobs here. If you are an employer seeking contract staff in engineering or IT, please feel free to contact us to see how we can help your business. Browse our jobs in IT & Telecoms here.